These craft business ideas are not simply lists of different types of crafts you could create or different materials you could work with. If you're a serious crafter, you probably already know where your craft skills lie. What we will look at here are 20+ different ways to take craft skills you already have and turn them into a business. There's more to building a creative business than simply selling at art shows and on Etsy (although either of those options might turn out to be excellent choices for your business). We're going to explore a range of traditional and creative craft business ideas you use to take the DIY skills you already have in your chosen medium, and turn those skills into a business. I'm going to start with some of the more traditional ways to sell crafts, but stay with me. 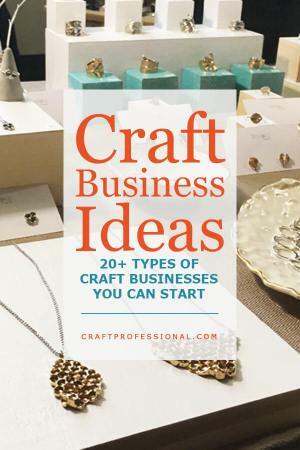 The list of craft business ideas gets more interesting and creative as you get farther into it. 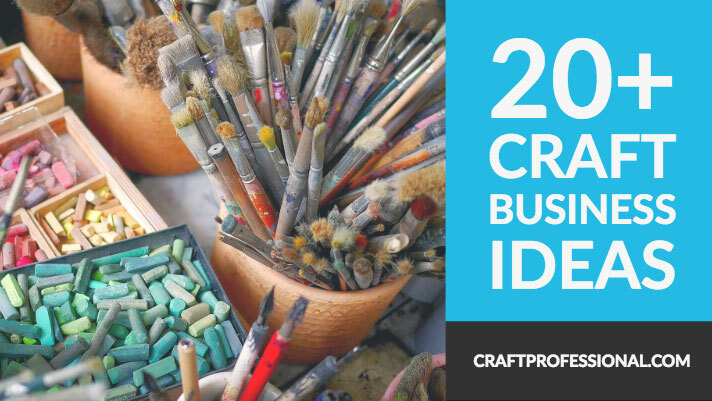 You'll find loads of craft business ideas on this page. You can read through them all and gather a lot of information. Or, if you're in a hurry, click one of the links below to jump to the topic that mosts interests you. Selling hard goods refers to selling a physical handmade product. For example, if you make doll's clothing, you'd sell doll's dresses, shirts, pants, etc. You may sell in a variety of different types of venues, but the key to your business, if you sell hard goods, is you sell a physical product. This business model is the most traditional way to sell crafts and probably what most people think of first when they consider starting a craft business. Since selling physical products is the most familiar form of craft business, it's a good place to start exploring your options. Here are several craft business ideas that make sense for people who sell handmade hard goods. If you're researching craft business ideas, you've probably already thought about selling at craft fairs. For those who sell a physical product, it's a good way to meet customers, and, with the right product and sales strategy at the right shows, you can have success. 1000+ Craft Booth Photos: I'm always adding craft booth photos to this site. At last count, I had over 1000 original pictures. If you want to check out display booth photos for inspiration for designing your own booth, this page is the place to start. Craft Tent Buying Guide: Buying a craft tent can be a bit overwhelming. This page has everything I know about choosing and buying the right tent for your craft booth. General Craft Show Tips: Here's where you'll discover how to find good shows in your area, how to apply to juried shows and make the best impression on your applications, and how to make the most of your day at a craft show. Home parties, in my opinion, are completely under-rated. While I've since changed my focus, I did start my business by doing home parties and these sales are where I experienced my first profits. Home parties can be a good way to test your business idea without a lot of risk. The cost for doing a home party compared to selling at a craft show, is quite low, and most guests will buy something at a home party. The downside to this business model is that it can be difficult to sustain over time unless you get creative. That is, once all of your friends have hosted a party, you may have difficulty booking more parties. Selling at home parties can, however, be an excellent, low cost, low risk way to get your business started. There are a lot of options for selling your crafts online. You could go with an established third party site like Etsy, or Handmade at Amazon. Sites like these make it very easy for you to set up your shop and get started quickly and without a lot of help. They are generally well known, so they have developed an element of trust, which can make customers more comfortable sharing their payment information on these sites. While it's true that popular craft marketplaces already have customers visiting the site, there are also plenty of sellers working for that customer attention. That means even though customers are on the site, you'll still have to work hard to promote your business and get those customers to your shop. Alternatively, if you're willing to put the work into learning how to build your own site, you could sell your crafts on your own website. This option is more difficult to get started, but it gives you far more control of your business than you have with a third party site. You'll need to put a lot of work into promoting your own site, but when you own the site you're promoting, you're building your own business, not someone else's. I've embraced both options. I have my own Etsy shop, where I sell printable art and planners, and I have my own site, which I fully own and control and which forms the foundation of my business. This setup gives me the best of both worlds - I have the trust and simplicity of an Etsy shop, combined with the control and ownership of my own site. Some people launch a business online through social media only. They don't have their own website, and they don't have a shop in a craft marketplace. Sometimes, for example, a great Facebook page is all that's necessary to launch a successful craft business. A friend of mine who makes very cute handmade children's capes launched her business on Facebook. She simply took a few great photos, created a Facebook business page, and invited her friends to follow her. Shortly after she launched her page, we were talking about other ways to promote her business, and she said she's already so busy with orders through her Facebook page, that she can't look at other promotional options right now because she can barely keep up with the demand from her Facebook page. I'm not talking about someone who is a social media maven with thousands of followers. This is a regular person with about 200 Facebook friends, who is simply posting cute pictures of her products, and her kids wearing the capes, and she's extremely busy with orders. The danger with building your entire business around a social media platform is that, like selling through a craft marketplace, you don't have full control over your social media account. A social platform could change their rules in a way that hurts your business, or they could lock you out of your account, and your business would suffer. That doesn't mean you shouldn't consider launching your business on social media. It does, however, mean you should be aware of how much control another company has over the success of your business. Rather than selling finished goods to customers, you might consider selling craft supplies. You could look at selling either supplies you purchase from a wholesaler, or you could create your own handmade items that are used in part of the crafting process. For example, if you are a jewelry maker, instead of selling finished jewelry, you might consider selling your handmade beads for other designers to include in their own creations, or you could sell silicone molds you make using your own original designs for other crafters to use in their own projects. Have you always dreamed of having your own retail store? I know of a few craft artists who have had success selling items in their own retail store. Often they work with other local artisans and sell their items on a consignment or wholesale basis in addition to selling their own crafts. This option represents a much bigger commitment in terms of both time and money compared with most of the other craft business ideas on this page. Do be sure to do smart research before you take on this degree of risk. If you're in the United States, the Small Business Administration (SBA), which is a government agency that supports entrepreneurs, is an excellent place to start your research. If you're outside of the US, look for a business development office in your area, or your local Chamber of Commerce to start your research. Consigning your work to independently owned stores can be a great way of building sales and promoting your business. You'll need to ensure you have priced your work in a way that is profitable for this business model to work. Focusing on building business relationships with wholesale customers can bring your business to a whole new level. Again, you'll need good pricing for this strategy to be successful as well as an efficient production process to make the large volume of items wholesale customers typically require. How about creating private label items for other businesses? A private label product is a product that is developed and created by you, but it carries the packaging and branding of a different company. For example, if you make luxurious soaps and body lotion, you could partner with a local spa and create private label products for them (your products packaged with the spa's name and logo). A beekeeper who sells fabulous beeswax hand cream at my local farmer's market told me he also sells the same hand cream to a nearby spa as a private label product. The spa puts his wonderful hand cream in luxurious packaging and sells it at a much higher price than the beekeeper charges at the farmer's market in his own unassuming packaging. The spa reaches a different customer than the beekeeper does, so, with their branding, they can sell his product to different target customers and at a higher price. If you're selling your own hard goods, in addition to thinking about where and how you'll sell them, you'll also need to give some thought into how you'll produce those items. Decisions about your production process can be key to the development of your business. If you sell one of a kind items, you'll need to factor in the design time to your price. One of a kind items also require significantly more work to sell online because you'll need to photograph, promote, and write sales copy for each new item. You'll need to command significantly high prices to make this business model work. You'll need to find ways to clearly communicate to customers why each piece is special, so you can charge a premium for your work. One of a kind items take longer to create and to sell, so you'll end up selling fewer items overall but at higher prices. Production work (i.e. creating a specific range of products that you create over and over) has the benefit of scaling better than selling one of a kind items. A business that scales up well is one that you can expand more easily. You don't have to create unique photos and descriptions for every single item you make if you're selling online. The big drawback for some (not all) people is that you have to create the same pieces over and over. Some people love this way of working. It can be quite meditative. For others, production work feels like drudgery, and they don't mind keeping their business smaller if it means they can work on new designs frequently. Often, people who sell a defined range of products will keep popular designs year after year, but they will add a few new designs each season in order to respond to trends or experiment with new materials or methods and keep their design skills sharp. Avoid These Common Mistakes: There are four mistakes creative business owners make that can end up wasting your time and your money. Before you commit to a craft business idea, read this article and save yourself from these common pitfalls. 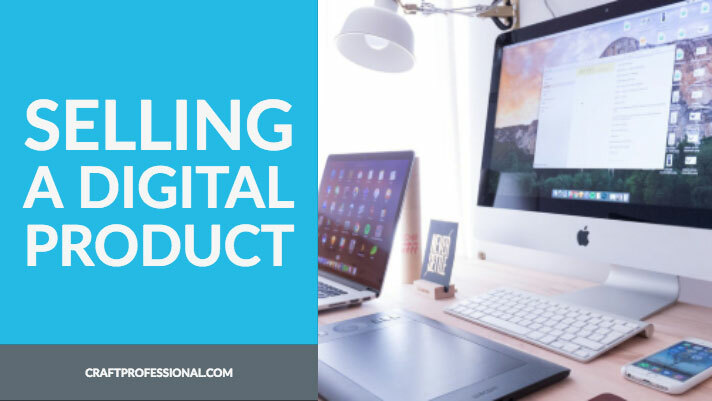 If you think creatively, you might be surprised by the many ways you can take your knowledge and skill around creating a specific type of craft and turn it into a digital product. Digital products often take longer to make initially when compared with handmade hard goods. However, once they are made, you can sell digital products over and over as many times as you like. 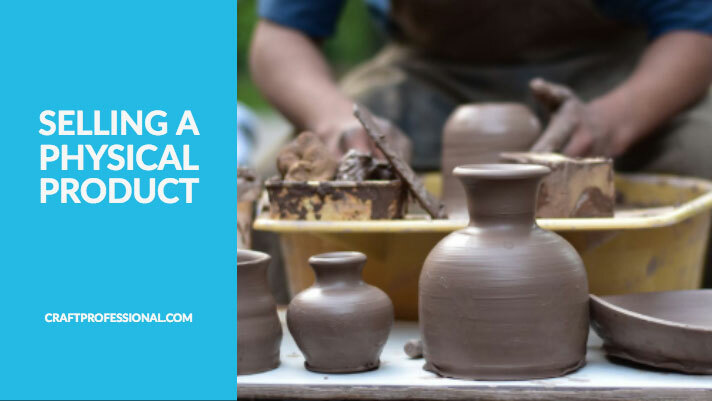 These craft business ideas are less traditional, but they do scale extremely well, and they can be a great option for people who love to design handmade products but don't love the production process. Instead of selling your actual finished items, consider selling instructions for making your items. Your own unique printable patterns or downloadable project instructions can be sold online. You won't be able to charge as much for a pattern as you would charge for a finished item, but digital products only need to be created once, then they can be sold over and over to many customers. This type of product also allows you to largely automate the sales process. You'll need to answer the occasional customer's question, but there's no need to deal with packaging and mailing out products. It can all be easily automated. Do you have a lot of valuable information that is unique and not available anywhere for free online? Then maybe a membership site, where customers pay a fee to get valuable content from you each month, makes sense. A business like this requires real commitment because you'll need to produce exceptional, original material on a regular basis to keep your customers happy, but this business model can be quite financially rewarding. Can the work you create be translated into some type of printable products that you can sell? That's what I sell on my own Etsy shop. Not all types of crafts will translate well into this business model, but if you create any type of digital art, or more traditional art that can be translated into a digital format, then you may be able to turn it into a printable item to sell. High-Tech Craft Business Ideas: Technology has opened up plenty of exciting new opportunities for craft professionals to create a range of businesses. Check out these high-tech craft business ideas and see if one is a great fit for you. 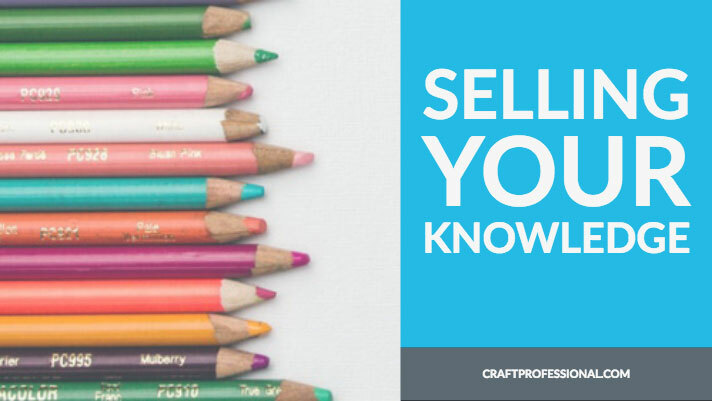 You can take the concept of selling projects a step further and sell your knowledge about how to do a specific type of craft or work with a specific type of material. Consider offering classes in your craft to build your business. You might partner with a local community center, or an art supply shop for the classroom space. Partnerships like this can also help you promote your classes. If you can create exceptional, premium content that is better than anything available for free, and build trust with your online readers, then you can charge customers for online courses in how to do your particular craft. You might offer courses through your own website, or you might build a following as a top instructor on a site like Skillshare. How about putting all of your ideas into a book format and selling craft projects or craft instruction books? Amazon makes this type of project surprisingly easy for independent authors. You don't need a publishing company to make money as an author. It's a lot of work on the front end to write a fabulous book. However, if you write an excellent book that gets great reviews and covers a topic readers want to learn about, your book can make money on a site like Amazon for years requiring very little work from you beyond the initial writing and promoting. Do keep in mind, Amazon's fees for publishing black and white print books are quite reasonable, but their fees for color print books are quite high. Once you explore their print pricing, you'll almost certainly come to the conclusion that your book needs to be in black and white in order to sell it at a price that is acceptable to readers and profitable for you. It always surprises me that, when people think about building a craft-based business, they don't often think of creating some type of service business. If you're a photographer, then consider a business photographing clients. If you're a scrapbooker (paper or digital), consider a service business creating beautiful memory books for families who have lots of pictures and no time to organize and assemble them creatively. If you want to deign products that are on-trend, there's plenty of fashion and decor trend information available to help you discover what will be the hottest new product or design motif. Plus, you can find all kinds of data that predicts retail consumer behavior, so you can develop effective promotions and make the most of important sales opportunities like Black Friday and Cyber Monday. Don't be stuck with a booth full of yesterday's unicorn designs when everyone is running out to buy products featuring adorable sloths! Check out these trends reports to discover how to stay ahead of trends and make the most of your sales opportunities. Trending Crafts That Sell Well in 2019: Want to know what crafts will likely sell well in 2019? Here's what's trending in crafts for 2019 according to Pinterest and Etsy. Best Selling Christmas Crafts (updated for Christmas 2018): Here's an analysis of Christmas shopping behavior. You might be surprised to find out what people are buying and what is one of the biggest Christmas shopping months. Holiday Retail Market Trends (updated for Christmas 2018): I've analysed several sources of retail market trends to help you better understand what shoppers are looking for over the holiday season, so you can create a marketing campaign that speaks to their needs. Rather than thinking of your business as falling in the "handmade" niche only, think about what other niches your business could serve. If you make lovely handmade cat and dog beds, then you belong in the pet lovers' niche. If you make custom bridal jewelry, then you belong in the weddings niche. The handmade niche will take you to some of the more obvious places, like craft shows, and Etsy. However, if you can find a niche based on the type of people who are passionate about your type of product, or who have a problem or need that is solved by your product, then you can find more opportunities to build your business. You'll be able to go where businesses in your niche go, and you can find customers who are passionate about what you do and who want your product, not only because it is handmade and beautiful, but also because it fits with a part of their self-identity or fulfils an important need.